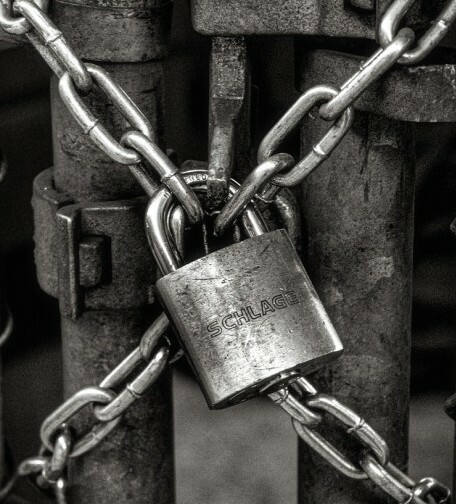 Read these 10 tips to make yourself feel a bit better about keeping all your belongings safe. As mentioned above, many times it just comes down to common sense, but what exactly does that mean? Especially if you are a first-time traveler or are traveling on your own, these things might just be new to you. First of all, pack and carry your own bags. That way you don’t give anyone a chance to either tamper with our luggage or run off with it. Always watch your luggage. If you have a suitcase and a backpack for example, carry the backpack on the front, especially where there’s lots of people. Sometimes you might just have people moving very close to you and you might not notice if someone slips something in or out of your bag if it’s on your back. If you’ve got hand luggage maybe you could fix it on top of your suitcase and roll it in front of you. Many newer suitcases have the option of strapping hand luggage on top. If you have a long stopover and need to rest, you could use your hand luggage as a pillow or put your legs on top of your suitcase. That way it’s harder to steal something away from underneath you. It might even deter thieves. Many times those people are opportunists and don’t go out of their way to steal something. If you want to be really sure, look into a good quality suitcase that is not easily slashed open (that’s some of your soft sided ones) or broken into. If you think your bag has been tampered with at any point, leave your bag where it is, don’t touch it, and call a security officer and explain how it looks different. You could even take a photograph of your bag when you’ve finished packing, before you go on your trip. This is also handy in case of insurance claims or when trying to claim damage done by airlines. Again, locks might just deter opportunists. 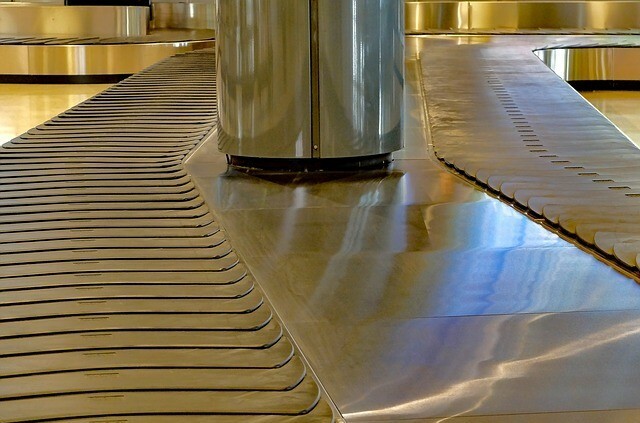 As we mentioned above, it’s best to keep your luggage close-by, but what about your checked luggage? Locks will hinder people from getting into your suitcase too easily. The same goes for cabin luggage which will be put in the overhead storage. And you might not be able to or want to take it with you when you need to use the lavatory. A lock will keep your things protected. A handy thing to take are zip ties in case a lock breaks. It will still keep those opportunists at bay. It is also a good way to tie your luggage together so you don’t have to hold onto it. 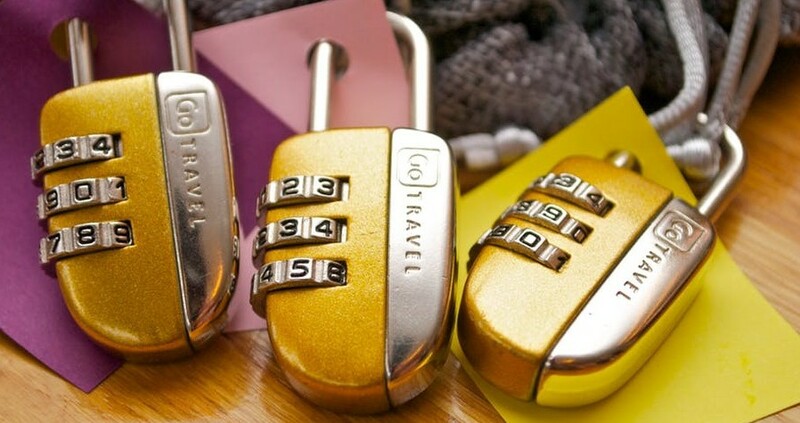 In your hotel room, always secure locks or use zip ties if you need to leave your suitcase or bag there. Tie them to something immovable. And just a note on hotel safes. Some of them are very easy to break into. Especially the ones that are easily to remove from their position. And some of them just need a good bang on the side or top to open. Money, passports, tickets – all those things that you need to travel and aren’t easily replaced you should keep in a secure bag on your person. There are some small money bags you can hang around your neck and wear underneath your clothing and no one will know it’s there. They are big enough to fit all the essentials in. Make a checklist of all your items before you go. It will make it easier to ensure you don’t leave things behind when you’re packing up in your hotel room. Check out our printable checklist. It’ll also help should you need to claim something with your insurance. Which brings us to our next point. If you don’t mind losing some items or maybe even all of your luggage, don’t worry about insurance. But if you do, have a look into travel insurance. Many times when you use a credit card to pay for your holiday, a travel insurance (which might even include medical) is part of the deal. Especially if you are thinking about taking expensive items, make sure you get the right insurance (with a high enough cover) for all of your things. Before you go, make sure you read through your airlines or countries rules and restrictions as to what you can and cannot take in your hand or checked luggage. This way you won’t get a nasty surprise at the airport where you might only lose the item or, the worst case, have to pay a hefty fine for it. We have covered some of the typical things you can take in your cabin luggage and what you cannot take as hand luggage. I know it is tempting to just take everything you use on a daily basis and more, when you are going on a holiday. Even if you’re just going away for the weekend, you might find yourself overpacking. Trust me, been there, done that. Essentially, there is nothing wrong with it. Apart from that you might not need it and have to log it all around with you and of course that, the more you take, the more can get lost or stolen. If it’s something you can easily replace (i.e. it doesn’t hold any significance for you and it doesn’t cost the world), by all means, take it. But, if it’s something you’ve saved up for forever or you would really feel sorry about losing, maybe consider leaving it at home. If you do want to take your expensive things like your diamond ring and Rolex and expensive photo camera or laptop, don’t have it on show. You don’t want to attract the wrong kind of attention. Maybe you should consider the earlier point of only taking what you need. Or at least insuring it. Better safe than sorry. Not only are there lots of opportunists out there, lots of accidental loss happens on airports. Many times it’s for the above reasons of not watching your luggage and giving thieves a very good chance of acquiring some of your goods very easily. But sometimes (and this happens quite frequently if you ask the lost and found section of any airport) your luggage just looks exactly like someone else’s and they don’t check (or maybe you didn’t check) and it’s gone. Or you end up with the wrong luggage. This also happens quite frequently at the luggage carousel when picking up your suitcase in a hurry. Sometimes suitcases don’t have any identification on them whatsoever and make it hard to find the right owner. Don’t be one of those poor sods. Either buy a colourful suitcase and stand out with your luggage, or find some way of marking you luggage. You can use big and colourful luggage tags or use a luggage belt or just tie a ribbon around the handle. Always leave your tags on (those ones that are provided by the airlines) until you get home. Just in case. And always have your ID on your luggage somewhere. Some luggage tags can be hidden inside the luggage if you are worried about someone else misusing your ID in some way. Pack and carry your own bag. Get a good quality bag that’s hard to break into. Zip it and lock it. Find out what you can take and can’t take with you. Don’t show off your things. Find your luggage easily by using ribbons. I hope this article helps with preparing and being safe on all of your travels. If you have any questions or comments (or more tips) leave them below. Some great advice. I love lists and need a mental checklist each morning as I leave to work. When I travel I have to use a written list. If possible I would use a Chromebook for travel or at least in the in-between places like airports. $250 is easier to part with than a $2000 MacBook Pro. Yes, I think we all need some sort of list or other for our daily lives 🙂 Have a look at my checklist. Very true, that’s exactly my thoughts, a cheaper notebook is much easier to deal with and insurance would be cheaper too. Thanks for stopping by. Yeah I know. That’s what I meant by saying what exactly does common sense mean, as we are not really aware of how many chances we give dishonest people to try and grab our things without even noticing. Hey! Do you think opportunists are more likely to break into brightly colored luggage or plain luggage ? Just wondering if there’s something I haven’t been thinking about. I don’t think it’s a matter of coloured luggage or plain luggage, as opportunists just look out for just that, opportunity. This means, unlocked zips, things sticking out of your bag, unattended bags and so on. I think a coloured suitcase will be just as fine as any other. Admittedly I never take any safety precautions with regards to my checked luggage, but you have definitely made me think twice about applying some security option…You hear of these things happening, but never think it will happen to you until it does. So, maybe best to take some steps to ensure it never does happen to me. That’s so true, you just don’t expect it to happen to you until it does. Like I said, better be safe than sorry. Happy travels! Do you think coloured luggage might be targeted more than plain? No, I think it’s more the opportunity thieves are looking for, i.e. unlocked, opened, unattended luggage or distracted travellers. I love it that you explained what you meant by common sense. I’m guessing when you’re in holiday mode you don’t really see the dangers that could be lurking somewhere. Great information! I’ll be sure to check out your checklist and Do’s and Dont’s as well. Thanks for your comment. I was hoping to be of help. Yes, you might find some good information in those articles too. Let me know if I can help further. Oh that was very unlucky that it didn’t make it, but smart of you to pack a set of clothes. Great that you got your bag back so quickly! That would’ve been a bit of a worry, I bet!